Carrie DeVries works as an Accounts Supervisor at DEVENEY, leading the agency’s public relations division. Since her graduation from Louisiana State University in 2005, Carrie has spent more than a decade in the public relations industry. A former news producer for WBRZ-TV in Baton Rouge, she knows what makes a good story – and how to tell it well. 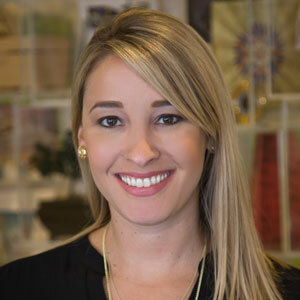 Before joining DEVENEY in November 2012, Carrie worked as a Senior Account Executive for The Ehrhardt Group, where she served clients like Galatoire’s restaurant, Harrah’s Casino and The Roosevelt New Orleans Hotel, a Waldorf Astoria property. She continues to work in the hospitality and tourism industry, leading DEVENEY’s efforts for clients like Chef Emeril Lagasse’s restaurants in New Orleans, and Arnaud’s Restaurant and the French 75 Bar, among others. Her outstanding work led to her designation as an agency partner in 2017. In that role, Carrie oversees organizational direction and business strategy on behalf of the agency. On the weekends, you’ll likely find Carrie wandering through the French Quarter and other parts of the city – with camera in hand – taking in the sights and sounds that lured her here back in 2008. At the same time, checking items off of her ever-evolving New Orleans’ bucket list, like trying the latest and greatest restaurants, to riding in her first Mardi Gras parade as a member of the Krewe of Iris.